Ciao Amici! Are you as excited as I am to start shopping for craft supplies on Black Friday? I’ve got some sneak peeks at some incredible deals coming this week, along with a chance to win a pair of Golden Scissors from Blitsy! Why would you want a pair of Golden Scissors? Because that’s your entry for a chance to win $1000 to spend at Blitsy or a year’s worth of craft supplies! Are you excited yet? 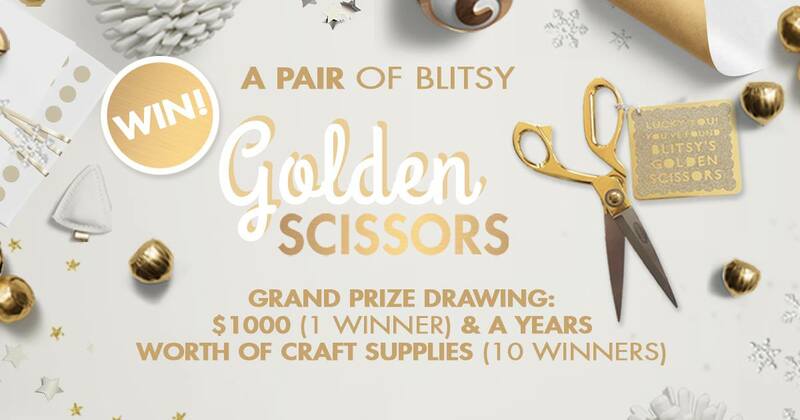 You have 14 chances to win a pair of Blitsy Golden Scissors. Just visit each blog in our Blog Hop, check out the sales sneak peeks, and leave a comment on each post. One winner will be chosen from each blog, and the grand prize winners will be chosen from the Golden Scissors winners. I’m really excited about the sneak peeks I get to share with you. I recently ordered a Silhouette Cameo from Blitsy, and I just received it. These Black Friday deals will help me stay well supplied with gear for my Cameo. First up is Silhouette Cameo Cutting Mat-12″X12″ . This deal will be running Friday for $7.99 (reg MSRP $14.99). Another great deal is the Silhouette Replacement Blade, on sale Friday for $6.49 (reg MSRP $12.99). Score!! One more hot product on sale is the Bistro Chalk Marker 6mm Bullet Tip-White. This sale runs on Black Friday for $1.75 (reg MSRP $3.59). There are a few other sales I’ll be keeping an eye on, too. On Friday, Mod Podge Formulations, Tools & Accessories will be on sale. I loooove to work with Mod Podge! Here are some project ideas for you to consider trying after you’ve stocked up at the Blitsy sale. One last sneak peek: on Saturday, Mason Jars & Accessories will be on sale! Check out these mason jar gift ideas, then grab a few jars at the Black Friday sale! There will be new sales launching Black Friday at 12am CST, Saturday 6am CST, Sunday 6am CST, and Cyber Monday 6am CST. Have fun shopping! 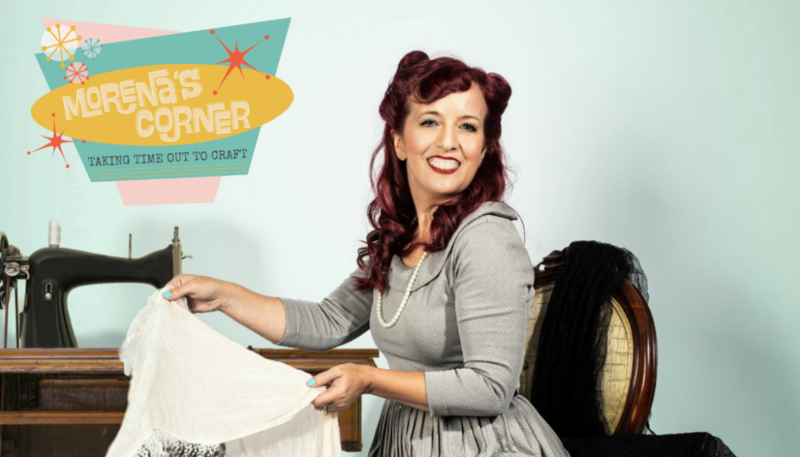 Leave a comment on this post, telling me what deals you’re looking forward to, then visit Inky Fairy Designs for another chance to win a pair of Golden Scissors. Commenting/entries open until 7pm CST on Thanksgiving. Winners will be announced during the #blitsysleepover Pajama Party and posted on the Blitsy Blog. Good luck! Woo hoo! Happy shopping! 🙂 Have a great Thanksgiving, Patricia! LOVE Mason Jars!!! Must remember to add them to my wish list! Hoping to score some Golden Scissors too! off to hop some more! OOOOOH! that minion jar is sweeeeet! thanks Morena for starting the Hop! Wow! Silhouette stuff for sure is on my list along with a whole lotta stuff. Bout to go real broke. Oh well, c’est la vie! Oh, love the mason jars! How fun!!!! I’ve recently gotten into using Mod Podge by making letter signs out of cut 2X4’s so I’m looking forward to those deals! Cheers all! It’s a sale on craft supplies! What is there NOT to look forward too??? Always look forward to any sale for Silhouette products. Always look forward to sales on Silhouette products. This looks so exciting. I’m glad I found this. looking forward to the sale! exciting stuff! WOW! I love the Mason jar minion! I don’t own a Sil…so those specials don’t apply but the chalkboard pen sounds great! I am always looking for a good white pen! Sweet!!! Can’t wait for the #blitsysleepover. And who doesn’t love mod podge?!?! 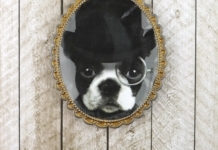 Love the Mod Podge as well as your blog. Great ideas, I will definitely be following your blog from now on. Love the mod podge Christmas napkins, actually love a lot of your ideas, I will be following you. Congrats on the Cameo! I have a Pazzles and it is the best thing that ever happened to my craft room! Using my Pazzles and the Bistro chalk marker I can make chalkboard signs that don’t look like a kindergartner did them. I’m really looking forward to ALL the great sales. Love everything especially the mod podge. Looking forward to following your blog. Who couldn’t use a new mat and some project ideas?! Love the mason jar minion. My great grand kids would love this. Simply adorable. Of these deals I’m most looking forward to the Silhouette replacement blades! Definitely something to stock up on! Hi Morena! I love that minion jar- how stinkin’ cute is that! I love working with mason jars for my neighbor gifts. So, I need to stock up on those masonjars. I absolutely love that Christmas napkin. It’s just gorgeous & to think it was made with Mod Podge. I really need to try that. Thanks for sharing all the wonderful projects. 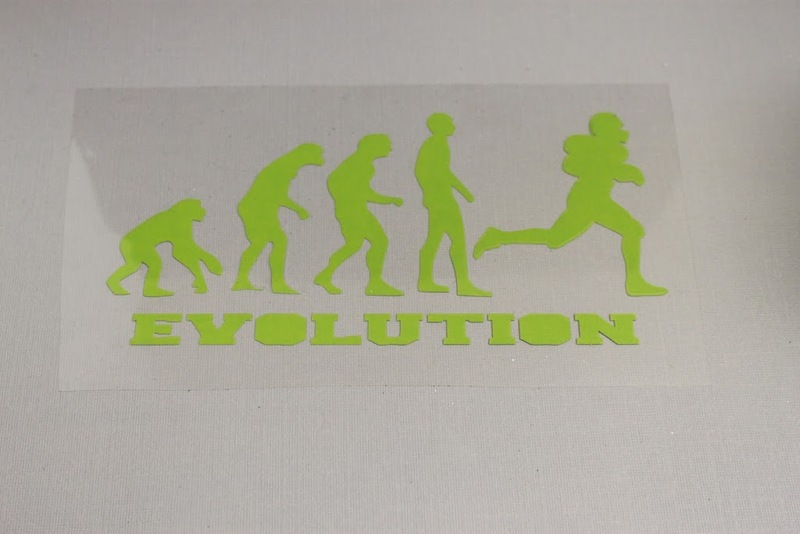 Have fun with your Cricut!! I don’t own a Silhouette (yet =) I’m sure it is just a matter of time!) But, I do still have an antique version of am electronic die cutting machine – Cricut Expression. From what I understand, the Silhouette mats will work in it too…YAY!! For that price I will try it! Mod Podge is one of the sale items I am definitely going for. I use so much! Love the mason jar. So cute! I love to work with Modge Podge. I’ll be checking out that sale. The mason jars look like a fun project. I’m not sure what the yellow guys name is (my OLD) but it is cute on the jar. I’ve seen several different ideas for jars and I’d like to try them out. thanks for sharing some great sales. I love all the projects and can’t decide which is my favorite but loving that napkin (for table) and the minion (my grandson loves minions) so why pick? I’m loving them both! I am also shocked to see the price for the Silhouette and accessories since they are less than I imagined they would be. I already have a cutter, Mod Podge, and mason jars but what I really need is the Bistro Chalk Markers. I bought chalkboard paper a long time ago and don’t own any chalk markers so that is going down on my wishlist. That napkin is amazing but I love the minion jar too. I’m looking forward to the Bistro chalk markers and Mod Podge items (all for making holiday gifts). 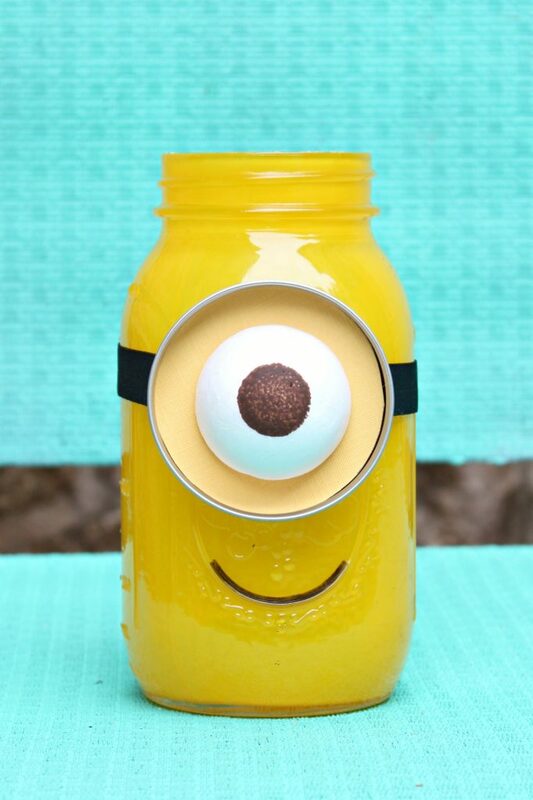 I love the mason jar minion! I wish I had my own minion to help me around the house! Love the Mason Jar so cute. Thanks for sharing can’t wait to try something like this for my daughter who loves them. I can’t wait for the Silhouette deals! Love that minion maso jar!! I’m waiting for Mod Podge and definitely the mason jars!! This machine looks amazing! I’m looking for deals on stamps and dies! I love Mode Podge too !! Such beautiful ideas. 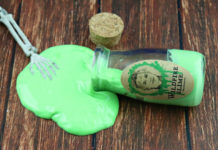 I haven’t tried Mod Podge yet, but this sale looks like the perfect time. Such an adorable idea with The mason jars. The napkin was absolutely beautiful. And I really enjoyed the sled tags too. Thanks for the cute ideas. Looks like my Blitsy list is far exceeding my finances sadly. I NEED a pair of Golden Scissors Pretty Please!! It would certainly make my Christmas. I have a sillhouette too, can always use a replacement blade! I love your minion jar! Great prices on everything I have seen so far…this could be trouble! Chalk Markers where have you been my whole life? Mod Podge sales – amazing! – love the Minion Jar! Mod Podge sales – Wonderful – Love the other sales too! Love the Minion Jar! Looking forward for the mason jars and accessories sale! I love the minion! HI, LOVE USING MOD PODGE! THANKS FOR SHARING! Thank you for sharing such great ideas. Mason jars are definately great gifts . Love the Mod Podge sales! Love the Minion jar! I can’t wait to see what you make with your Cameo, I my Silhouette away, and I am regretting it! Thanks for sharing such interesting ideas. Would like to try Mod Podge Napkin creation. So super excited for those mason jars!! They are going to be perfect for some of my crafty goodies! Wow!! Love the Minion mason jar!!!! Those chalk markers are super cool!!! I want it all!!! I am looking forward to the Mason Jar deals. Looking for deals on Tim Holtz mini ink set #14! Happy blogging! Love your blog! I am most excited about the mason jar deals. The Minion Mason jar is adorable! I really like the napkin. Great idea. I’m looking forward to the dies! Love the jar a lot of ideas, looking forward to all the fun. Those are some awesome prices! I love your Minion mason jar. My 2 yr old grand daughter would love one. thanks for the idea. I’m looking for tools for making my own rubber stamps. Thanks for the info about the Bistro Chalk Markers…they sure can be used for so many things. Mode Podge on Fabric? I would have never thought. excellent. I love mason jars. I can’t wait to see what else Blitsy has in store for us. My Grandsons would LOVE the Minion Mason Jars!! I am looking forward to any Sales on Coloring ex: Books, Colored Pencils, Markers, Pens, etc. WINNING a pair of the GOLDEN Scissors would be Pure AWESOMENESS!! I am hoping for some Ranger products and the Mod Podge tools are some things I’m looking forward. Oh, and golden scissors would be neato! Oh my… So many lovely temptations to be found here… Mod Podge is always good to stock up on. And the Mason jars… They look so adorable. I love the examples of your art you showed. II really need some Mason jars for gifting some homemade bath salts! I love mason jars! I hope I remember to grab some. Looking forward to all the great deals! Thank you for the idea! My boys and I are going to create the minion jars and put homemade sweets inside for gifts! I am looking for new ideas and just having fun seeing all the new things to add to my supplies. It’s A Most Wonderful Time Of The Year!!! Mod podge is my all purpose, go to sealant… And I can always buy some more… And I wouldn’t mind a set of golden scissors…. Mod Podge is divine! And now it comes in so many flavors! lol. Looking forward to the Mod Podge Sale! Absolutely love the Monion jar, too cute!!!! Can’t wait to see the deals on Mod Podge! I just love that stuff! I LOVE your minion jar!! He is so cute, and so easy! Great idea! Thanks for sharing! Happy Thanksgiving! Where do i start! Modpodge products! Jars! chalk markekers.. everything is on my wishlist! SOOO looking foward the the Pajama party!!! Will be hard to decide what to buy!! Heads up…your website was difficult to navigate in mobile. I am looking forward to the misti tool sale the most! I’ll look in that. Thanks! love the minion mason jar!! Yes! I always need Mod Podge! The Mod Podge will be in my cart! 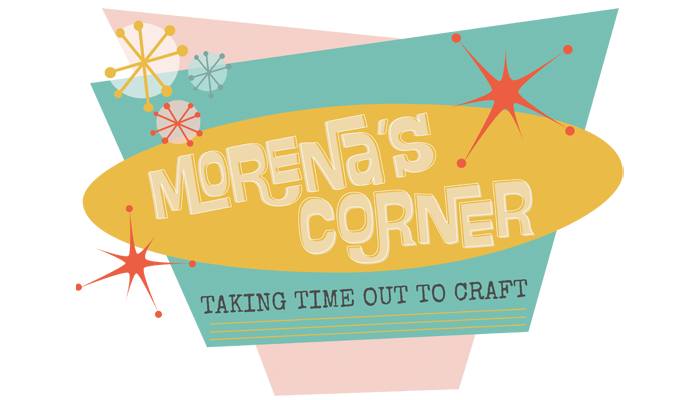 Thank you Morena for a chance to win a pair of Golden scissors. 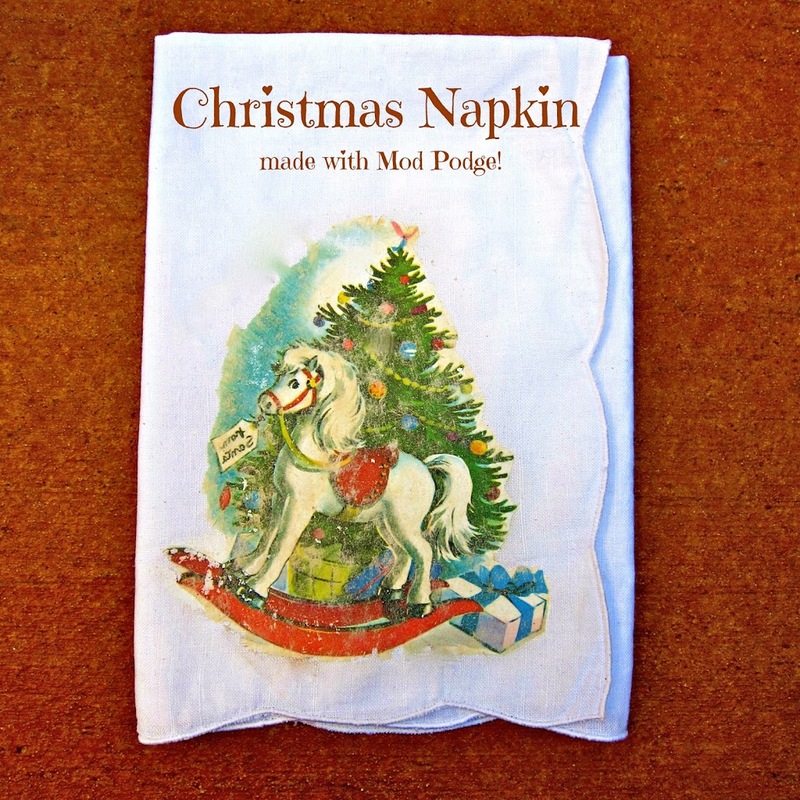 Mod Podge is the bomb – love those Christmas napkins! A girl can’t ha enough mason jars. Great projects. Happy turkey day! You have some awesome projects on here! Loved reading them! I’m excited about ALL the deals, but I am super excited about the Cameo accessories! I’ll be stocking up for sure! Love, love, love the silhouettes. Great project for the guys on my list for Christmas! woo hoo!! getting so excited for all the sales!! looking forward to the tutorials…and maybe winning the golden scissors! just bought a cameo! I need a blade!! Morena I love your idea for Christmas napkins! Thank you for sharing your corner with us! Thanks for the heads up on the deals to come!! Can’t wait to see all of the deals! Can’t wait for ALL the sales!! Love the Minion jar!! Looking forward to all of Blitsy’ssale items!! SO much to choose from!! I love the minion jar! Enjoyed visiting your blog. Lots of inspiration to get me to take more time for crafting! love your minion jar!!! I would also love to win the scissors. in the process I’m super excited about all these new blogs!! Once I finish this post I’ll definitely be checking out your tutorials on Mod Podge, cos I LOVE that stuff!!! Love the Minion jar too! Great blog! I love the luminaries and I truly love Mog Podge projects! Thanks Morena! 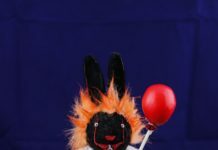 modge podge is so cool! WOW, I feel like I,m walking in a craft wonderland with crazy prices. Thank you Blitsy and all the wonderful staff! I can always use new Silhouette replacement mats. It seems they are never sticky enough. I’m thinking there will be some replacement inserts for my Webster Pages planner that I will need! Just saw my comment from last year. I can’t wait for the party. Am I on the right blog entry? I was getting all pumped til I realized everything said 2015 and 2016! Yes, sorry, this is the old entry. I think the new one is on the Blitsy site!